This information is to help you through the complicated restrictions and opportunities of the planning system. 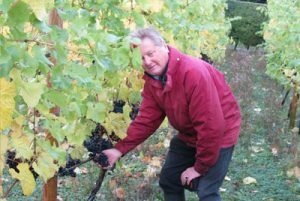 The information for this section has been provided by Gareth Capner, retired chartered town planner and owner of Dunley Vineyard in Hampshire. I have recently been asked by a landowner in East Sussex about the planning regime which affects his recent purchase of a hectare of agricultural land which he intends to plant with vines. I referred him to my article “New Planning Rules, New Opportunities” which appeared in the March 2014 edition of The Grape Press which is a good place to start (article available at the end of this web page). In March 2015 the Government issued additional guidance on the conversion of agricultural buildings – which do not need to be redundant and which had previously excluded protected areas such as National Parks and Areas of Outstanding Natural Beauty– for up to three dwellings. In particular this additional guidance emphasised that while the new permitted development right allowed for new building works these were not to be of a “structural” nature e.g. new load bearing walls. As a result thoughtful plans for the conversion of modern agricultural buildings have a semi industrial flavour to the treatment of the external elevations, a good example being the approvals obtained at Bartletts Farm at Mattingly in Hampshire (see Hart District Council website for applications 14/00929/PNDW and 14/01778/PNDW). It is also becoming clear that local planning authorities are definitely treating the new permitted development rights inconsistently with some putting any obstacle in the way to prevent the exercise of this new right. Wiltshire Council was a particular notable offender and its behaviour has been the subject of a research project by a post graduate student at the Royal Agricultural University at Cirencester. 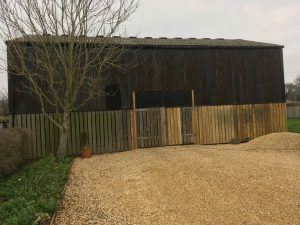 Photo: Barn in a Wiltshire Vineyard which has prior approval for conversion to dwellingsThe General Permitted Development Order which grants permitted development rights was usefully consolidated into one document in April 2015. It records two further permitted developments for the change of use of agricultural buildings to other uses. The first is the change of use from an agricultural building and any land within its curtilage to use as a state funded school or a registered nursery. Of wider relevance is the introduction of Class R which permits the change of use of an agricultural building to a flexible commercial use including a shop, professional services office, restaurants and cafes, business, storage or distribution, hotel or for assembly and leisure. All these changes are subject to restrictions and conditions – the Order runs to 168 pages! It is therefore important to look at the small print. For instance the restrictions and requirements are less onerous if the agricultural building is less than 150 sq. metres but there is the prospect of any agricultural permitted development rights being lost. The 2013 permitted development right referred to in the article below allowing for the change of use of an office to residential has also been amended to ensure that this right extends in perpetuity and does not lapse in May 2016. A conversion of an office to a house at a New Forest vineyard has recently successfully resisted the threat of possible enforcement action by the National Park Authority. My article in the Grape Press makes reference to the Millington Court of Appeal judgment ( click here) which held that the selling of wine made from grapes grown on the vineyard was an ancillary agricultural activity. However, local planning authorities sometimes add a condition to a permission prohibiting direct sales to appease neighbours who fear the establishment of a shop with high levels of traffic on rural roads. Millington has been successfully used to lift such a restrictive condition – using what is known as a Section 73 application – in relation to a newly established vineyard and winery in Buckinghamshire. As readers will appreciate the planning rules are complicated and always changing. Indeed there is currently a Government review of permitted development rights which could affect our industry. My aim is to keep you up to date as these rules change with particular emphasis on identifying newly created opportunities for your enterprise. 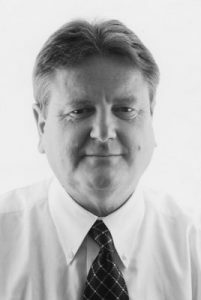 Gareth Capner is a retired chartered town planner and owner of Dunley Vineyard in Hampshire. He is a member of the WineGB Wessex Committee and helped to grow Barton Willmore into the largest independent planning consultancy in the UK and can be contacted on capneresq@btinternet.com. At a recent WineSkills session at Plumpton College there was a discussion on the ability to change the use of an agricultural building to a commercial winery processing grapes imported from other vineyards. This would fall under Class R referred to above since a commercial winery would fall within Class B1 business use and Class B8 storage use. Indeed Class R is very useful since it also allows the establishment of a shop for the selling of wine not made on the premises and function rooms for the holding of events such as weddings and parties. As usual there are conditions including a size limit of 500 sq mtrs. – up to three ‘larger homes’ with a combined maximum floorspace of 465 sq m.
– up to five smaller homes each less than 100 sq m.
– a mix of both with a total of no more than five homes, of which no more than three may be larger homes. In addition there is no longer a specific requirement for a building to be structurally strong enough to take the loading that comes with the works required to convert it and the introduction of a new floor is acceptable. I have recently been contacted by a Welsh vineyard owner who faced possible enforcement action because the local authority maintained that the Millington judgment did not apply when the wine was made off site. This Welsh appeal decision (Nelson Appeal APP/K6920/D/99/513513) shows that the local authority’s argument was wrong and in that case a Certificate of Lawfulness was issued. This Welsh appeal decision can be used in England. Another vineyard owner has contacted me about his plans to build a new winery to process his grapes. I was able to point out that if the winery was less than 1000 sq metres, more than 25 metres from a classified road and met certain other conditions he could claim agricultural permitted development rights. He needed to check formally with his local planning authority whether they needed him to go through the “prior approval” process regarding siting and design but this was less onerous than making a formal planning application which would involve more paper work and consideration of local plan policies which could be an obstacle. The traffic on the Members Forum shows that planning and planning permissions are issues which exercise members quite regularly and so I have been asked to give an overview of the planning scene as it is likely to affect winegrowers. This is timely as there are new and emerging rules which will benefit the vineyard community. Starting at first base, Section 336 of the Town and Country Planning Act 1990 not surprisingly includes “fruit growing” in the definition of “agriculture”. This is important since the Town and Country Planning (General Permitted Development) Order 1995 and subsequent amendments allow certain agricultural buildings and operations to be carried out without the need for express planning permission, subject to a range of conditions. The rules are complex and differ for units of 5 hectares or more and those of between 0.4 hectares and 5 hectares and so they need to be studied in full and applied to the particular situation to determine whether planning permission or prior approval is actually needed. The Order and its subsequent amendments can be found in the Department for Communities and Local Government Section of the Government’s web site (www.gov.uk). It is common for agricultural buildings to be used in part or in whole as a base for the sale of wine grown on the vineyard which may involve tours of the vineyard and tasting. When you apply for your premises licence to your local District Council they will check with their colleagues in the planning department to see if you have planning permission for your “shop”. They will then invite you to make a planning application for your “shop” and its associated activities. Please do not do this! David Millington of Wroxeter Roman Vineyard did the winegrowing community a great service by mounting and winning a Court of Appeal (Civil Division) case in 1999.The three very senior judges unanimously agreed that the selling of wine grown on the premises, including public visits and tastings, were ancillary agricultural activities which did not need planning permission. A subsequent planning appeal in Wales (APP/K6920/D/99/513513) held that even if the products of an agricultural holding were adapted for sale by processes which are undertaken off site, their sale from the holding was still lawful without the need for planning permission. This is quite clearly important for vineyards where wine is made and bottled off site by others but is sold from the vineyard of origin. The Welsh planning appeal also helpfully concludes that the sale of “imported “ non-vineyard products such as engraved glasses equal to 10% of total sales is de minimus and would not amount to a change of use requiring planning permission. What is a material change of use is a matter of fact and degree and in my view up to 20% of total sales from non-vineyard goods would not amount to a material change of use. All these arguments using the Millington and Welsh appeal decisions have been successfully deployed recently to turn aside the threat of enforcement action by Wiltshire Council against a local vineyard and its established sales outlet. Development – involving physical works as well as any change of use – which is not ancillary or permitted development requires planning permission usually from your local District Council or National Park Authority. Listed buildings and those in Conservation Areas require additional listed building or conservation area consents. So if you are contemplating a new build restaurant or holiday lodges you need to examine the policies in the District Local Plan as a starting point which are likely to be many and complex and subject to review. A dwelling on the vineyard, especially if new build, is likely to be difficult and you will need to meet strict criteria about the lack of suitable alternatives and show a consistent track record of viability – the common view seems to be that this is unlikely to be achieved on less than 8 to 10 hectares. The force of restrictive Local Plan policies has been somewhat relaxed by the publication of the National Planning Policy Framework (NPPF) in March 2012 but the policies in the Local Plan still have statutory weight especially if they are up to date. The mounting of a planning application can involve much paperwork and seeing it through to a successful conclusion is not for the faint hearted so get yourself some proper help. The Guide to Planning Consultants which gives details of all the qualified planning consultancies in the UK is available at www.rtpiconsultants.co.uk. In May 2013 the Government introduced a new class of permitted development allowing the change of use from offices to residential without the need for express planning permission but subject to certain conditions. Some limited areas are exempt, such as parts of East Hampshire, but generally if you are outside flood risk, contaminated, hazard and explosives areas and are not a listed building or scheduled ancient monument and are acceptable in traffic terms, you can change the use of your office to a dwelling subject to a possible prior approval process although external works may still require permission. It is important to note that this new rule currently runs out in May 2016 so you need to act without undue delay. 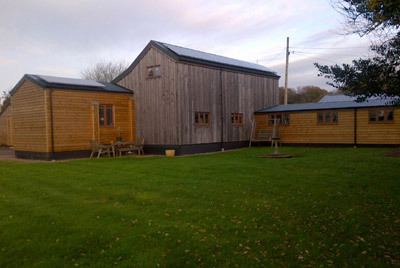 Using this new rule, an office building associated with a newly established vineyard in the New Forest National Park which had previously been refused permission for a change of use to a dwelling 3 times over the last 34 years can now claim the permitted development right to change the use into a dwelling as there is no traffic, flooding or contamination impact. In August 2013 the Government published a consultation document entitled “Greater Flexibilities for Change of Use”. Of particular interest to the winegrowing community is the proposal to use existing redundant agricultural buildings for residential purposes. This would allow up to 3 new dwellings of up to 150 sq. metres each to be constructed on the footprint of redundant agricultural buildings which existed on March 20th 2013 without the need for express planning permission but subject to a prior approval process on design and traffic impact. This change to the classes of permitted development is proposed to apply in all areas including Conservation Areas, National Parks, Areas of Outstanding Natural Beauty, the Broads and World Heritage Sites. 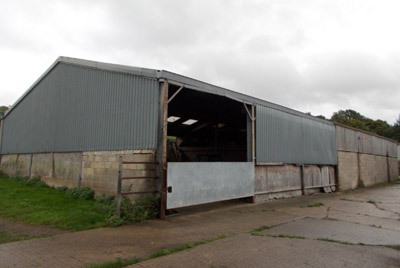 The Government intends to bring these changes into effect in April 2014 which, if unchanged, will provide great opportunities for the re-use of redundant agricultural buildings without the need to pay any planning gain demands from the local authority. In conclusion, planning procedures remain complicated and are ever changing but recent and emerging changes are quite revolutionary because this government has at long last eased some planning restrictions and obligations rather than increase them. These changes provide the winegrowing community with new opportunities for their holdings and businesses. 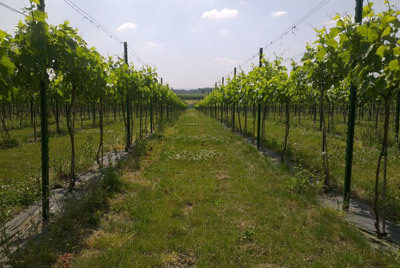 I am happy to help fellow vineyard owners realise these opportunities and can be contacted at capneresq@btinternet.com.